Tears of joy, relief and fear merged to wet Eden’s cheeks. Excitement nearly overwhelmed her as she fled. She’d been separated from her family against her will for years; but now, filled with hope, she thought of home! Eden Par Vuli painfully recalled how she’d wept years earlier when her grandfather, also in tears, abandoned her at an orphanage. For Eden, 4 years old at the time, it felt like being sent from paradise to hell. And now, she dared to hope, they were about to be reunited. Eden’s birth and first few years were marked by hardship. Her parents split shortly after her birth in 2003; her father then abandoned them both. A single parent with no income, her mother was forced to place Eden in the care of her own father, U Cun Kuai. He loved and cared for her as his own. But soon Eden’s grandfather had to face the bitter reality of his own poverty. In tearful resignation, he committed her to the care of Jehovah Jireh, an orphanage in a nearby town. He visited often, but could see his beloved granddaughter was not happy. U Cun Kuai, filled with regret, one day attempted to get Eden back. The cold reply: “Not without paying 300,000 kyat ($225 USD) for breaking your contract with us before Eden’s 18th birthday.” Dejected, Eden’s grandfather returned home, unable to pay. The Orphan’s Tear Ministry had met 4-year-old Eden just a few months after she first arrived at Jehovah Jireh—one of many orphanages we supported. At the time, we believed the lie that all children living in orphanages were orphans, and that no better options existed. We had even built the dormitory where Eden lived, and through sponsorships provided for her other needs. In the following years, many ugly truths began peeking out from behind the walls of what we now call the “orphanage industry.” Most orphanages, we’ve discovered, exploit children from poor-but-living families to gain money from well-meaning Western do-gooders like us. We began looking for solutions. 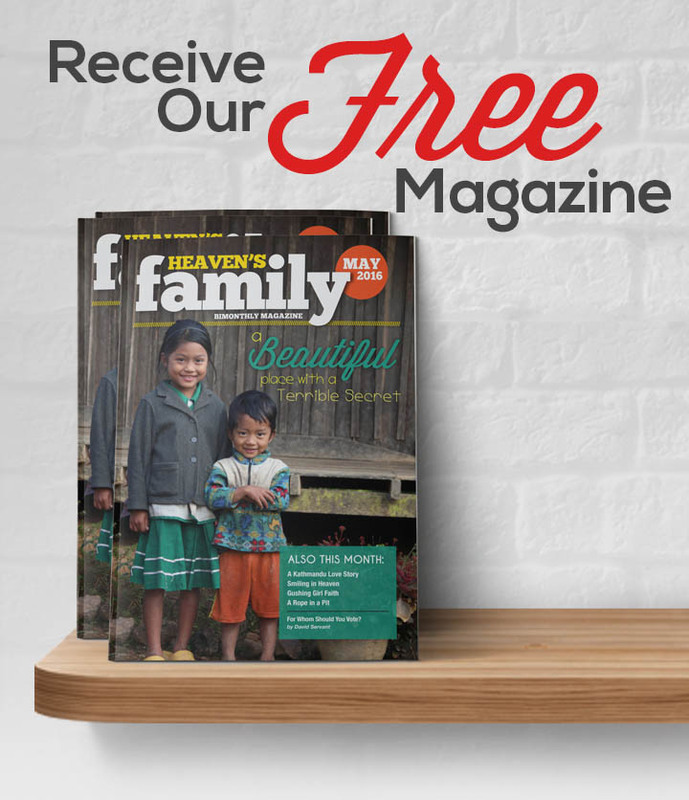 In 2015 we partnered with Australian Christian Churches International Relief to bring their Kinnected Program—successfully used elsewhere—to safely return children to their families and relatives in Myanmar. Thankfully, Jehovah Jireh agreed to join the program. Our staff began by interviewing the children there to learn their stories and see if we could reunite them with their families or relatives. Not all family situations are safe for children to return to, however, so we have to be careful not to do more harm to them than has already been done. We assigned Htoo Say, one of our social workers, to Eden’s case in December 2016. When asked if she wanted to return home, Eden replied, “YES, but my grandfather…needs to give money to [the orphanage director] so that I can return home.” But “he has no money, I can’t return home yet.” When told that payment wasn’t necessary (such contracts won’t stand up in Myanmar courts), Eden wept. Eden’s reunification plan then began in earnest. Next, Htoo Say interviewed her mother and grandfather, and then scheduled a visit to their village with Eden to observe the three together. She could see that Eden was close to her grandfather, but very detached from her mother. After additional interviews and assessments, Eden, her mother, grandfather, and the social worker all agreed it best for Eden to live with her grandfather. Her mother could then work to restore her relationship with her daughter. 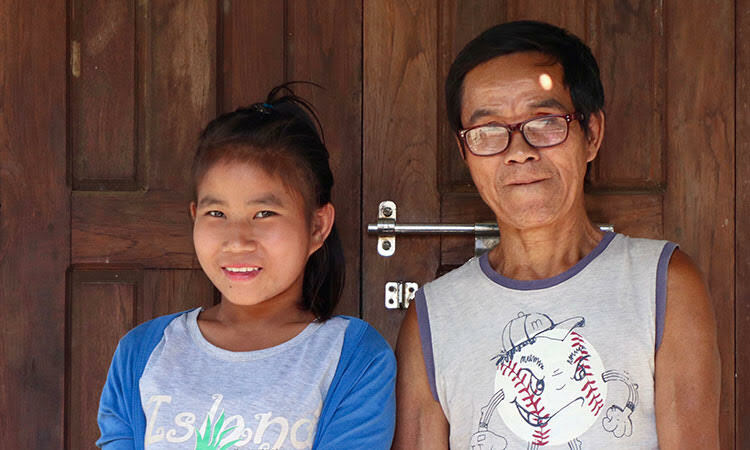 One year ago, after 10 years in an orphanage, Eden finally returned to her paradise—living with her grandfather. She couldn’t have been happier—and, we believe, so is her Father in heaven. Eden continues to adjust to life outside of an institution, and her relationship with her mother is improving—she now calls her Mom, and they visit one another often. Htoo Say visits regularly, too, skillfully guiding Eden’s reintegration process. She soon hopes to return other children to their “paradises,” too. 80% of children in orphanages worldwide have at least one living parent, and foster care solutions should be sought for the other 20% because it’s God’s plan for children to be raised in safe, loving families. The Orphan’s Tear Ministry has shifted from supporting orphanages to seeking to reunite those children with their relatives or foster-care families. We’re also working to prevent children from being placed in orphanages in the first place. You can watch the video of our journey at HeavensFamily.org/RadicalChange.